Sport Chalet gift cards and store credits will continue to be honored in Sport Chalet stores through May 15, 2016. Customers who are unable to visit us before this date are invited to transfer gift card balances to a gift card from one of our sister stores, Eastern Mountain Sports or Bob’s Stores through July 29, 2016. 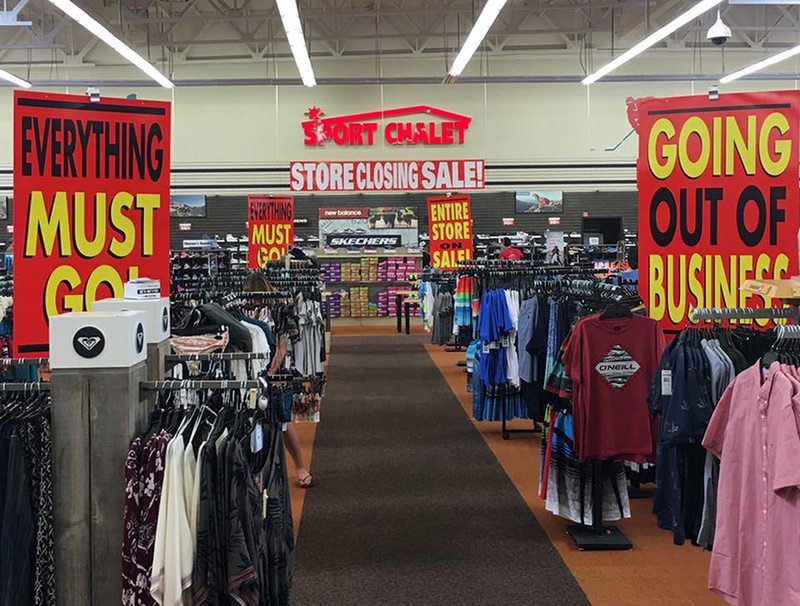 On April 16th, 2016 Sport Chalet began the process of closing all of our stores and stopped selling merchandise online. Store closing sales are expected to continue over the next several weeks, offering customers the opportunity to take advantage of great sales. You may visit our website, www.SportChalet.com to find the location closest to you. To transfer your balance on a gift card or store credit, please contact customer service at (888) 801-9162 or by emailing support@sportchalet.zendesk.com and an agent will assist you. Their “Going Out of Business” sale prices are still higher than other local sporting goods stores and much higher than on line (Amazon). This is true. My frequently camping and extremely frugal high school coach went on the 29th and didn’t buy anything saying he could find cheaper elsewhere. Come on SC, you’re not even trying to sell your stuff.